Today's sourdough bread - "Have you eaten?" Chinese had been poor throughout history. It's customary to greet people, "Have you eaten?" Up until recently, when I had to call someone on the phone, the first thing I said was, "Have you had lunch (or dinner)?" This is my hello, how's it going sort of greetings. Lately I've found that must have sounded absurd to people. I ran into Carol, our neighbour, and two (or should I say, three) nice looking lady friends of hers saying good-bye to each other at our cul-de-sac around mid-day today. What did I say? I said, "Have you eaten?" Immediately I felt absurd. Carol said, no; we've just had green tea. I said I had dough proofing at my countertop ready to be baked; would you like to try? Fortunately they said no; it wouldn't have been enough. So, here it is. The bread for today, a one-pounder. Beautiful loaf of bread. Nice job! "Have you eaten" must be an Asian thing. It is not uncommon for Filipinos to say the same, as an expression of concern for the well-being (translation: full stomach) of the person being greeted, and also an intent to provide nourishment. And when we say "Eat! ", this is not an order, but a manifestation of love and hospitality. 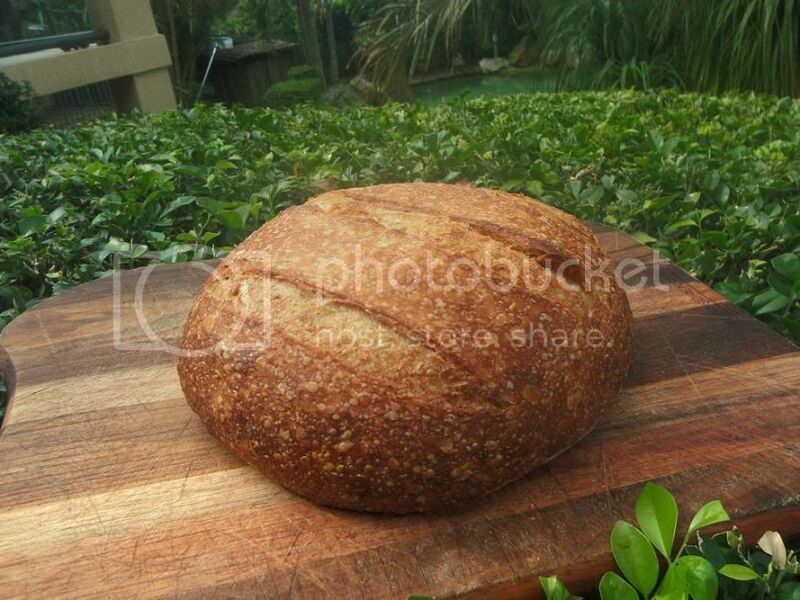 Culture aside, your bread is picture-perfect! Love the blisters! Thank you everyone for the encouragement. 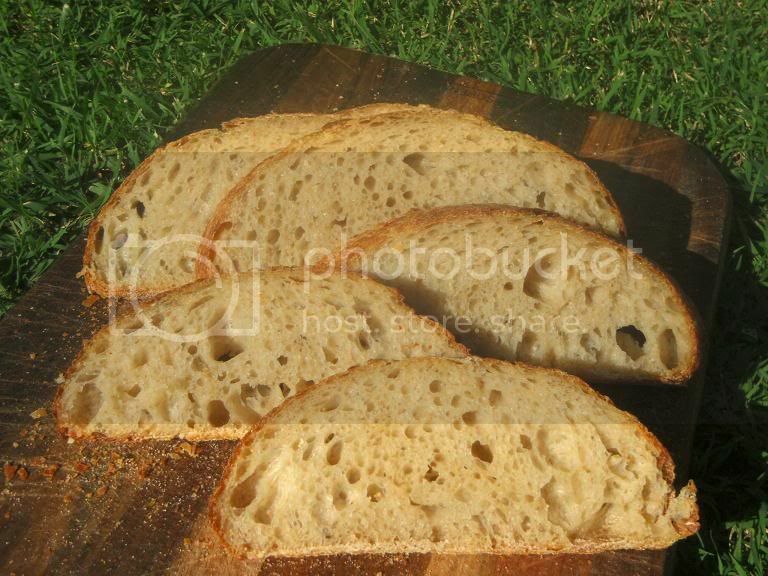 For matthewf01, the recipe is Susan's ultimate sourdough (Susan of San Diego, http://www.thefreshloaf.com/blog/susan). I think one of the success factors in Susan's beautiful loaves is the high gluten flour she uses, which is a deviation from conventional artisan breads. I did not use high gluten flour because to this date I still can't source it locally. After I shaped my dough, I placed it on a lightly oiled baking paper to proof inside a soup bowl. The blisters came from the water I spayed before putting it into oven.